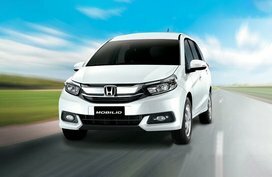 In order to help car buyers understand monthly fluctuations in car prices in the Philippines, Philkotse.com provides updated Honda Philippines price list as of April 2019 as follows. With thousands of Honda for sale at the cheapest prices updated daily by certified owners and dealers on Philkotse.com, your next ride may be just a few clicks away. Honda Philippines price list this April 2019 with new excise taxes for all Honda models, including the Honda CR-V, Honda Civic, Honda City, Honda Jazz, and Honda Accord. 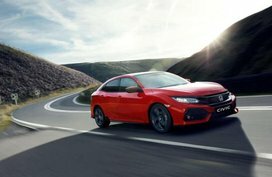 Note that the following car price list and promos from Honda are updated regularly on Philkotse.com, so please bookmark this page to catch up with the latest automotive deals. No one can deny the attraction of the Honda CR-V in our shores. 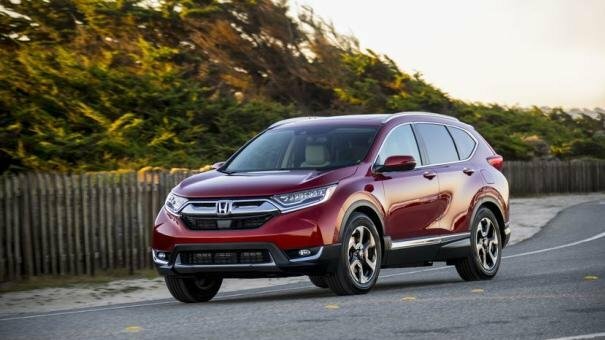 With the newly-launched 7-seat Honda CR-V 2019 diesel model, its popularity now seems to be at the peak. Packing a 1.6L i-DTEC turbo diesel and a 2.0 i-VTEC gasoline engine in a 5-seat variant, the 2019 Honda CR-V will still deliver enough power for business and family trips and concurrently, save your money on gas with a modest fuel consumption of 17.97km/L in the city. 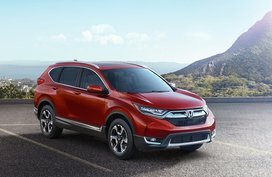 Moreover, other reasons creating the new CR-V's reputation involve impressive styling design, premium and comfort interior, exceptional performance and also, an affordable price. With the higher 2019 excise taxes, the CR-V's new price ranges from P1,658,000 to P2,125,000. Plus, we offers a wider selection of Honda CR-V for sale on the site. Let's check out. The Honda City made its official debut in the Philippines in 2014. Up to now, the City has become one of the best-selling subcompacts nationwide. 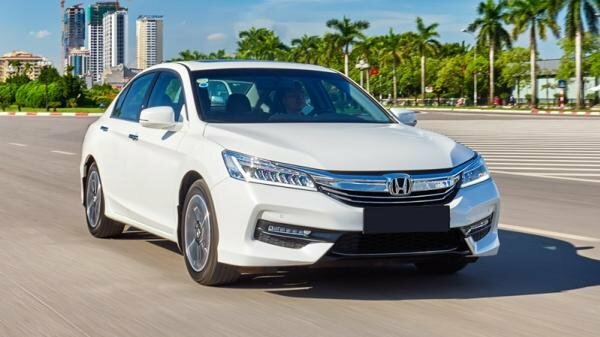 Back in April, Honda continued bringing a facelift version of the City to Pinoy drivers with a huge of revised updates, burning its long-standing ambition of re-affirming the City’s flagship title in sedan class. 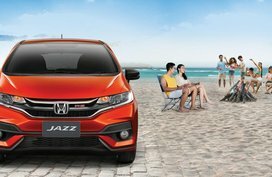 Modern look, commodious cabin, upscale features, and good engine are outstanding things that make the City a stellar in B-segment, not to mention the Honda City's reasonable price. In addition to that, the City is also motivated by a 1.5L i-VTEC power plant, mated to either a convenience-centric CVT or a more driver-oriented 5-speed manual transmission. The engine enables the sedan not only to perform excellently on city roads but also to rate decent fuel efficiency owing to an ECON mode. 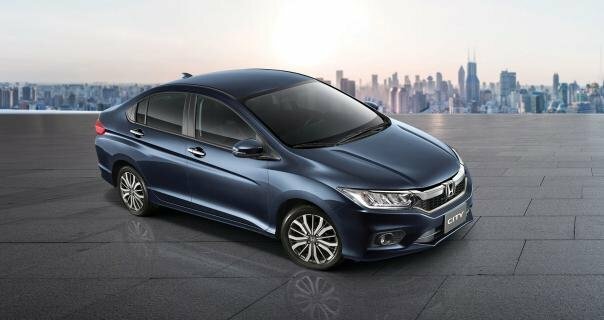 Starting from this April 2019, the new price range for a Honda City base model stands at P828,000. To keep you updated with City's price, here we have a constantly updated price list for Honda City in the Philippines. 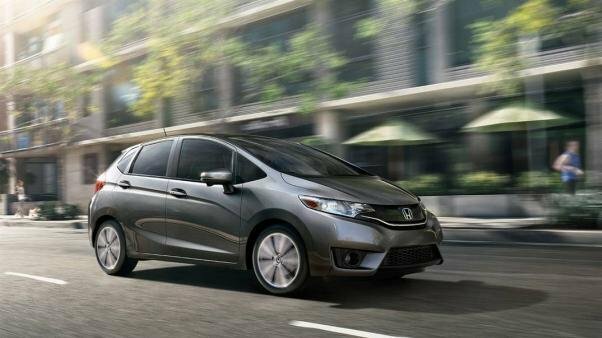 The Honda Jazz is Honda’s pioneer of subcompact hatchback segment in the Philippines. Classified as a hatchback, but dissimilar to most of other hatches, the Jazz is rugged and sporty. It features a revised front grille, new bumper, LED daytime running lights and new alloys too. Even stepping inside, the hot hatch cabin is high-tech with a 7-inch touchscreen head unit integrated with Bluetooth connectivity. Further, cruise control, automatic air conditioning system and speed sensing door locks are fully set up so as to bring users the most comfortable driving experience. The Jazz is able to cater your family of 5 people along with a considerable amount of luggage and accessories in every ride. The top-spec model of this sporty hatchback, Honda Jazz 1.5 RS Navi CVT, is priced at P1,078,000. Check out the prices of lower trims and second-hand Honda Jazz models. We also have a particular landing page to update changes in Honda Jazz price in the Philippine market. Visit the page regularly to keep updated. 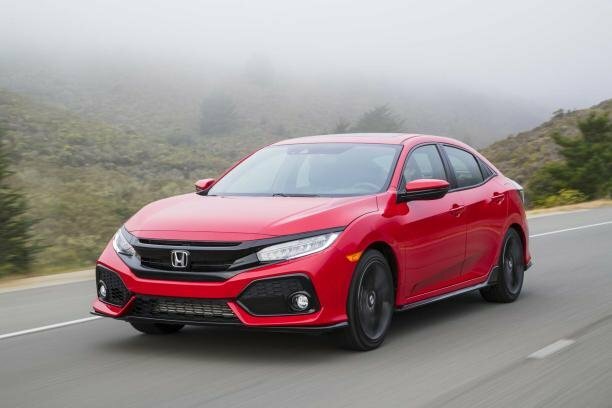 The Honda Civic is running in its 10th generation. Since the very first generation, the Civic has already been too appealing with a sporty design, supreme driving technology, a handful of great innovations and notably, a bargain price for both new and second-hand models. As for the outside, the Civic immediately reminds us of a modern city car with a low and wide stance well combined with sharp and well-defined character lines. On top of that, LED headlamps with daytime running lights and impressive taillights significantly contribute to its aerodynamic styling. When it comes to the inside, the aggressive styling also forays in. As well as that, a multi-infotainment display going back within gauges clusters is an all-new alteration. The Honda Civic comes with two engine options in the Philippines: 1.5L and 1.8L turbocharged engines. 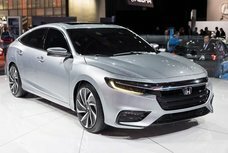 These engines are paired with a Continuously Variable Transmission (CVT) advanced from the noted Honda Earth Dreams Technology. These hardware components will surely give you fun but powerful driving experience. Due to the higher 2019 excise taxes, the price gap between top-spec and base variant is now P475,000 with P1,643,000 for the former and P1,168,000 for the latter. However, as mentioned, the Civic is still very affordable. Go and check it out youself at all Honda dealerships nationwide. The latest Honda Accord has hit our shores with a raft of exterior and interior updates. Adorned with sharper LED multi-projector headlamps with daytime running lights framing redesign front grille, new front and rear bumpers as well as LED taillights, the Accord makes us confused to depict in one word. The new Accord mainly inherits the inside design from the older model but several changes still covers some areas. For instances, it’s equipped with an intelligent multi-information display (i-MID) and auxiliary switch for passengers’ comfort. If the predecessor only pushes out 173 hp, the new Accord now can make up to 277 hp and comes aired to a 6-speed automatic gearbox. Without a doubt, the Honda Accord will be one of best sedans ever for your daily urban trips. When it comes to new price tag under the 2019 excise taxes, the 2.4 S Navi variant is now priced at P1,938,000. If that's a stiff price for you, more affordable choices can be found on this list of Honda Accord for sale. Founded in 1948 in Hamamatsu, Japan by Soichiro Honda – a famous Japanese capitalist and car enthusiast, Honda Motor Co., Ltd. now becomes one of the top-notch automotive manufacturers in the world, not to mention motorcycle manufacturing. 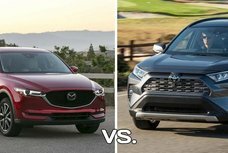 With such popular models like the Honda Civic and Accord, the brand has still proved to be worthy of “Power of Dreams” title as well as our support. In the Philippines, Honda Cars Philippines, Inc. (HCPI) started operating in 1990. After two years, the company was able to begin its manufacturing operations locally in Sta. Rosa Laguna plant. From since then, Honda’s eminence in the Philippine car market has stuck in durable and fuel-efficient vehicles such as the Accord, Brio/Brio Amaze, City, Civic, CR-V, Jazz, Pilot and Odyssey. 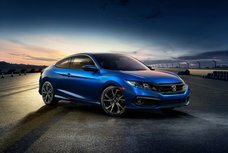 Comprehensive reviews of these models and other Honda vehicles can be found in our Honda review section.